It has been 9 months since the Ministry of Consumer Affairs implemented the Packaged Commodity Rules 2017 effective 1st January 2018, making it mandatory for all ecommerce companies to display the MRP and best before date of all packaged human consumption products listed on their site. The move was directed toward making food product purchases more transparent on ecommerce sites and to protect the interest of the consumer. LocalCircles conducted its 4th pulse check to identify the level of compliance by ecommerce sites on this issue. 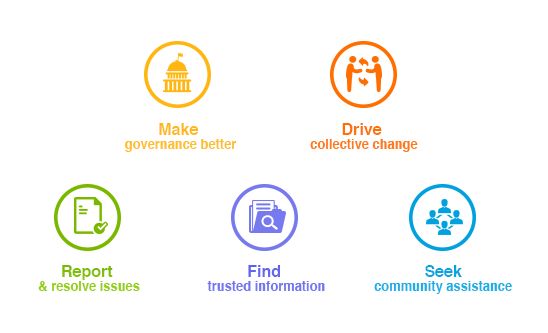 The survey received more than 15,000 responses. The first question asked the consumers if they were able to find MRP on products on ecommerce sites in the last 3 months. 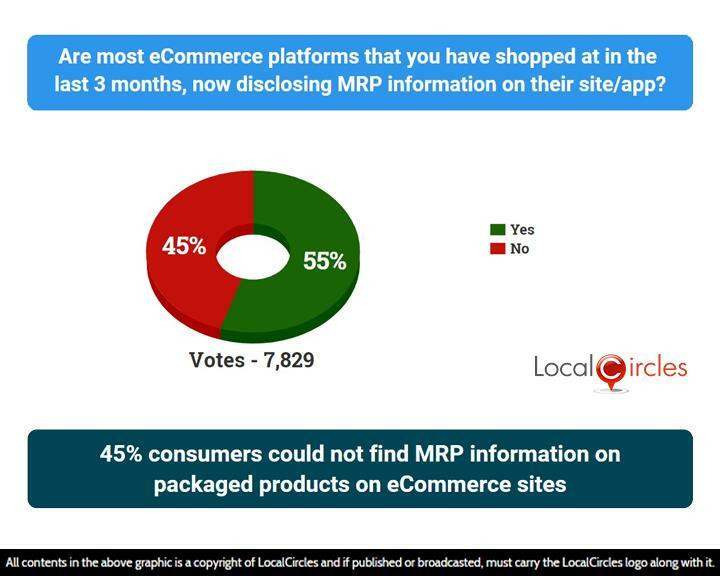 45% said they were still unable to find MRP details while 55% said MRP was clearly mentioned. 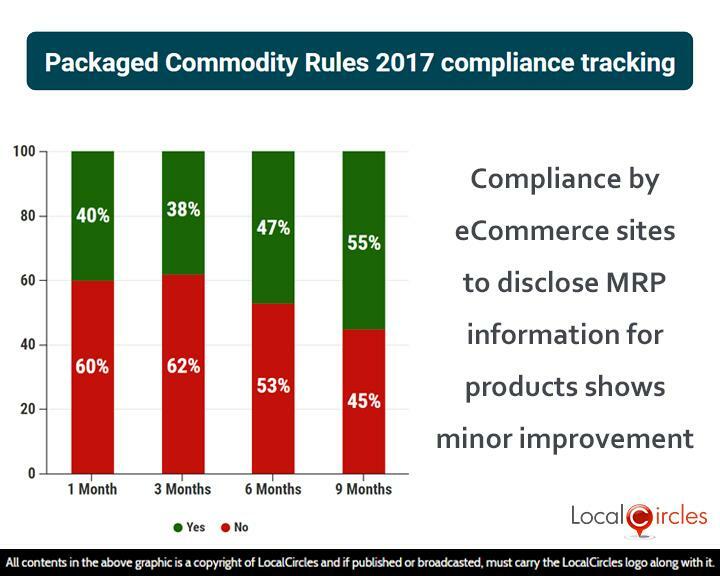 LocalCircles has continuously mapped the turn of events for the last 9 months, and although the MRP compliance shows improvement, it is still far away from the ideal scenario. The comparison shows that MRP non-compliance has reduced from 60% after the 1st month to 45% after 9 months, as the department had started sending notices to some ecommerce sites after consumer complaints. 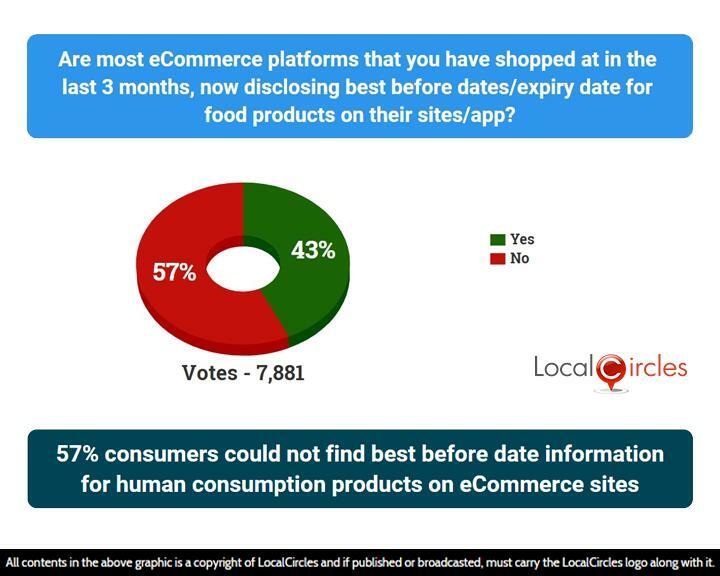 57% also said that they were unable to find best before date on food products on ecommerce sites/apps in the last 3 months. 43% said best before date was easily visible. Comparison shows that the best before date compliance has improved slowly over the months, with it going from 31% after the 1st month to 43% after 9 months. Most big and famous Indian ecommerce sites have started complying with the MRP and best before date rule, but the mid-level and smaller players are still openly playing with the rules. Consumers have reported that some ecommerce websites have listed the MRP and it takes 3-4 clicks to find them. The government has done a good job so far but now that last push is needed which would ensure compliance by all ecommerce sites in India.